I discovered a new primer that I love, are you ready? Nivea's Men's After Shave! Yes, men's after shave. Not only is this product CHEAP ($6 bucks or less at Target, CVS, Rite Aid, etc) but it works wonders! Rumors swirled around the beauty world and I just had to test this out for myself. This product is meant to smooth and improve sensitive skin. It makes the skin of most men baby soft after they shave, so it must be a great product for women as well. I decided to test it out! I washed my face as normal, applied moisturizer, followed by the after shave. I used a sponge to apply my foundation and immediately noticed how glowling and smooth my face looked. How would the makeup hold out throughout the day? Well, my foundation was in great shape. It could of been a combo of the primer and foundation. Since using this combination, I've received a lot more compliments from both women and men. Have you tried this combination yet? Comment below! 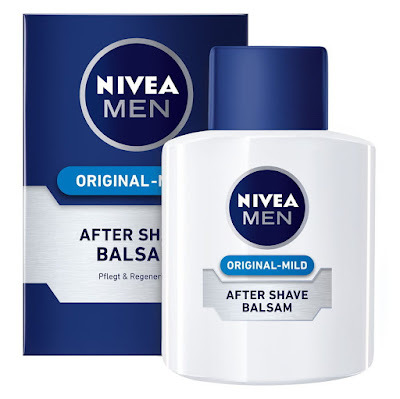 6 comments on "CHEAP PRIMER - NIVEA MEN'S AFTER SHAVE "
Like most baby boomers in my twenties I was very active in sports and my men's workout each week. Back then I was a regular at my home gym or fitness center. By the time I was 25 my physique looked pretty good.